Over the last few weeks, my inbox has been flooded with people asking me questions about a wide range of subjects including how they should market their blog, how to install the MyBlogLog widget, what Technorati is all about, how often they should post in their blog, etc. If you’ve got a question about SEO, Internet marketing, blogging, etc. feel free to ask your question by posting it as a comment to the most recent post in the Q&A category (starting with this one). Some of the more knowledgeable frequent visitors to SiteFever may be able to give you a hand as well by replying to your questions and answering many of them for you. 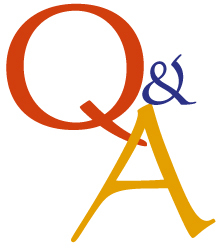 I will pick some of the questions which I feel would be most beneficial to share with others and I will answer them in detail by means of new posts in the Q&A category. This way, everyone can share their knowledge with each other thus becoming more beneficial than waiting for me to reply to emails one at a time. Sound good? Well, don’t be bashful- fire away! Post your question & we’ll all do our best to get it answered for you. Oh boy I have a question! I’ve noticed that within a day of writing a new blog post, it gets listed in Google and I start getting traffic to the new page from various search terms. Then a week or two later, the page is gone – totally dropped from Google:( Even some of my “best” posts – the ones with the most traffic and most links to them still get dropped. I’ve been researching this non-stop for the past day. I use the WordPress Duplicate Content Cure plugin, but am still allowing it to index my category pages. I just uploaded an xml sitemap, I’ve stopped linking to bad neighborhoods, I’ve installed a Meta Tags plugin, have searched my site for hidden text and a whole bunch of other potential problems. I do have a problem with scraper sites stealing full or partial posts from my site, and I haven’t figured out how to deal with that, or if it’s a problem. So, is it “normal” to have your pages drop from Google after a week? I realize my site isn’t that old and doesn’t have a PR yet. Or am I doing something that is causing a penalty? THANKS. Google sort of “favors” new websites and pages they list. In other words, your new page may rank well for a few days to “prove itself”, and give it the opportunity to do well for whatever particular term or keyword its ranking well for. Even though you receive some traffic from these pages, its probably not near as much traffic that similar pages from more well known websites receive, so in time, the page creeps its way back down in the search results. I am 99.9% sure the page is not removed from Google, just farther down the search listings. At any time, you can see every page on your site indexed on Google by typing in “site:http://sitefever.com“, replacing my URL with yours, and adding www if you use it on your links. Thanks! Unfortunately, a lot of my pages are totally gone from Google. When I do site:http://www.savvyskin.com it shows some of my individual pages, and some of my categories, but a large amount of them are now missing. If I paste in the actual URL of a missing page, it also doesn’t come up in Google. I’ve been researching this even more! Similar to the Text-Link-Ads saga, I read that Google can punish you if you don’t use nofollow on advertising links, and I had some affiliate banners and a bunch of Amazon text links that I didn’t have nofollow on. Are you sure they were listed before? Google may not have listed every single page within your blog. Yeah the missing pages were listed at one point. A new post page will get listed for a week, I’ll start getting traffic to it, and then the listing and the traffic go away. At any given time, I can’t get above having 60 of my pages listed, even though I write new posts almost every day. Oh well, at least if I ever fix this problem I should see a lot more traffic and I’ll be happy. Do you have an example url that used to be listed? 1. How much time do you spend on average a day or a week etc on building relationships with your traffic/visitors? And how do you do that? 2. How much traffic and how long after a blog has been started should one start to monetise by offering ad space? 1. Probably a few hours, but not enough. 2. Monetise it RIGHT AWAY! From day one! Many people wait and wait and wait saying that they will wait for more traffic, or they’ll wait for an improved Google pagerank, but I would suggest monetizing it right away. Even if your blog only receives 5 visitors a day, that’s still 150 visitors a month. How much is that worth? Even if it’s only $1/month, if you have 20 total ad spots available on your site, that’s $20/month- better than $0! No matter how small of a price you charge, your webspace is still worth something. If it wasn’t worth anything, you wouldn’t even be paying for the hosting, would you? P.S.- Don’t overdo it though. Nobody wants to visit a brand new blog swamped with more ads than there are posts. I will probably touch on some of your questions in more detail in a post in the near future, because I feel that many people have the same questions as you, so stay tuned. Thanks for posting. Thanks for the quick reply, John! I think my current challenges, apart from the traffic building for a new blog, is to find sticky traffic that would have to be a balance between IMs who are looking for products and people/sites who would look for advertising space on other sites. I’ll heed your advice and start testing other monetising methods on top of the affiliate sales and Adsense I’m doing now on my site. Looking fwd to the future post – keep up the great work and to your continued success! How do I change my blog posts so that they are in individual sub directories as opposed to the automatically created PHP files? Save your changes. It will prompt you to update your .htaccess file if it’s not writable. You’ll have to open your .htaccess file from your FTP program and add a few lines it gives you to the end of the file. Once you do that, the next post you publish will be saved according to the title of the post and not the number. Thank you so much YC & John for the prompt replies! I’ve been trying to figure this out for ages now! John, I was reading your article last night (aka e-book) and realised that there is a section that describes how to do this! You could’ve have easily have asked me to read the book, but you didn’t, you took the trouble of re-exlpaining to me. Thank you to both of you! If I may try answering that. Assuming you are using WordPress, then go to Options in your admin area, and select Permalinks. Under Common Options, select “Custom, specify below” and you may key in “/%postname%” for the Custom Structure field. In doing so, your post’s URL will be something like http://thehealthblogger.com/milk_good_or_bad/. This is what I have done for my site. Hope it works out for you! How many hours per day do you think it should reasonably take to put out a blog that is quality and has a post almost everyday? It seems that to do this properly along with marketing the blog it would almost be a fulltime job and very difficult for someone to do who has a real job and family. Thanks. I think that a lot of that depends on your skill level, niche, posting frequency, etc. Don’t forget that with WordPress you can edit the timestamp for each post, so when you have more time or when you’re in “writing mode” you can literally write days of posts all at one time and timestamp them to go live on the date that you want. However, you will want to be sure to set time aside to moderate comments, visit other blogs, etc. I would say that you need at least a couple of hours per day, but again, it all depends on your unique circumstances. this is what happened with me yesterday. I’m moving over to this moron webhost to mediatemple.net next month. Now a peculiar problem is arising the site reverts back to the default theme instead of the 1 is select after 1hrs or half hr, dono whats this problems. I noticed a few domains popping up in Technorati that appeared to be ripping off your content completely. Then I did a WHOIS and saw your name on them! What’s the reason for these, and is it working? I would’ve assumed it’d affect your Google rankings (duplicate content) and potentially caused your links to be spread out (people may link to the other domains) reducing pagerank. Are you finding otherwise? First, is that avatar new? I don’t remember you having one before. As far as your question goes, there are 2-3 sites that I know of that pull my RSS feed and stick it on their sites. These I do not own nor have any control over. There are two domains I own right now that I have WordPress installed on and I use these to test out changes, such as this theme before it went online. I also use these sites to test some plug-ins that I am currently developing. I grab the content from this site to see how any changes would react with the content on SiteFever. All of that content is coming offline soon anyway because all those domain names are for sale now. It’s a pic I photoshopped a few years ago to put up full-size at sarcastictwat.com because I didn’t have anything else to go there (and still don’t – and now I’m thinking of giving the domain away in a contest!). This is perfect to have a Q&A! If you are pinging with your test sites, it will list them in technorati. I still have no ads on my blog, this is because I have no clue what to do about that + I’ve got like 2 hours a day for my blog and its been slow as heck trying to get everything together. I’ll have to pick your brains when it comes down to that because you are good at it! Hey John, I was wondering what is a good tool to check on the number of backlinks a site has? I tried iwebtool’s backlink checker but last wk it said I had 27 backlinks, today none. Not sure if the tool is working fine, or something that I’ve done to/on my site. To search for your backlinks in Google, you enter “link:http://sitefever.com/“, entering your domain name. Of course, Google does not list every backlink for your site. Yahoo is a much more accurate source for your backlinks. Do the same search in Yahoo and you will see all of the backlinks to your site. You will usually see changes such as this just before a Pagerank update. Yahoo shows over 2,700 backlinks to my site but Google only shows between 2-4! I wouldn’t worry about it. I’m going to write a post about GWTools later, but for now, there’s an interesting post here about how in 10 days of registering a new domain, iwebtool estimates a PageRank 5 for me! Earlier on we talked about how to add a contact from to the blog and you told me that I should go to Admin Panel > Write > Page and then find the it in the “Page Template” option. However I do not have this “Page Template” option. I’m running version 2.2.2. Are you sure you didn’t install a plugin? 1. As far as I know, this feature comes standard with WordPress. I don’t recall having to add anything in order to have that functionality… Somebody correct me if I’m wrong. 2. It is possible your web host does not allow you to use Mod Rewrite, in which case it will not work and can give you a 500 error code. Fantastic idea to have a Q&A! I have a couple of questions and hope John or someone can help me. 2. I installed the social book mart for Digg and Stumble. Again, I activated the plug in but I don’t see them appearing at the end of each post. If I can get these two working for now – I’d be excited! It would be really difficult for somebody to diagnose the problem without being able to look at your souce code or the admin panel. If you feel comfortable with it, you can email me with your wp-admin login information and your FTP information and I will be happy to take a look at it for you. I have sent you an email with details. I have added you as the administrator to my control panel. Thanks for looking into this for me (angel!!). Actually, I am running the TLA on 2 different themes and it is not working on either. Not sure who is responsible. – TLA or my host. The first theme is at http://www.cheznaz.com/ and the second theme is at http://cheznaz.com/change/ neither work. I am going to browse your site now in detail to see how I can make $$ without any ad networks. I have a feeling I stumbled into your site for a huge reason! THANKS AGAIN – appreciate it muchly!